My first paragraph is about why I choose to study Veterinary Medicine. I wrote about my childhood passion for animals and how I used to wonder at the beauty of Mother Nature. Try not to be too generic and try to make your story stand out. Think back and find the little things that make you want to be a veterinarian in the first place. This is followed by a passage on my attributes. (Essentially, a self-praise paragraph!) I believe that this helps to show the university admissions tutor that you have what it takes to become a veterinarian. However, this is optional and maybe you can come up with something better! The next two paragraphs are about my work experiences. I included two cases that I saw at the vet: A dog involved in an accident and a dog with bladder stones. I also wrote a little about my volunteering experiences at the zoo and the shelter. I think the most important thing for you to mention here is what you feel during your work experiences. For example, your volunteering may have opened your eyes to animal welfare issues hence inspire you to do something about it. This is the MOST important part of your PS and about 60-70% of your PS should be dedicated to it. Next comes your academic/non-academic achievements. Always link them back to veterinary medicine and how these activities will help you as a veterinary student. As for me, I mentioned that I was a member of the Red Crescent Society and how that led me to learn about taking care of patients. A word of advice: start your PS early. It took me about a month of editing and polishing until I was finally satisfied with it. Don’t be afraid to reach out to your lecturers for help at this point. (Beg them if you have to!) Their experience and advice will really help you A LOT. This is only for those applying to Cambridge. More forms for you guys to fill in! Yippee!! With the exception of the University of Edinburgh, most UK universities will require you to attend interviews. Cambridge’s interview was very different from the other interviews so I’m going to talk (well, write) specifically about it first. He then asked me to express my thoughts on two ethical issues, i.e. the use of laboratory animals and heart transplants in cats. After that, I was given a question on the effectiveness of a test, where I was asked to calculate the number of false positives produced by the test. I was quite amazed to find out that despite the high success rate of the test, the number of false positives is still quite significant, hence rendering the test ineffective. Next, I was asked to interpret a graph. It took me quite a while to answer this question. However, Dr Richard Barnes guided me through the question and I was able to figure out the answer in the end. Generally, the interviewer was very friendly and it seemed more like a tutorial than an interview to me. So don’t worry about it too much and just be yourself! The former took place at Singapore whilst the latter was conducted over the phone. Glasgow’s interview was rather laid back and comfortable. There were two interviewers: Miss Joyce Wason and Professor Neil Evans. They started off with a few personal questions such as “How are you going to adapt to the cultural differences between UK and Malaysia?” This was followed by discussions on one or two moral issues and some questions regarding my work experience at the vet. Bristol’s interview was straight to the point and the interviewer fired off a series of questions without much preamble. The questions were mainly about controversial topics such as animal testing. The entire interview lasted for less than 15 minutes and it was done before I knew it. Different universities have different requirements for work experience so you should check out their websites early on and make sure you satisfy their requirements. For example, University of Liverpool requires a minimum of 6 weeks of working experience. (Don’t freak out, most universities don’t require quite as much! I’m just using this as an example to scare you. Muahahahaha.) Good places to start are: SPCA, PAWS and Zoo Negara. Try to have at least one week of job shadowing at your local vet as this can really help you during your application. Work experience with farm animals are normally not necessary but if you can get your hands on some, all the better! All in all, good luck and all the best! 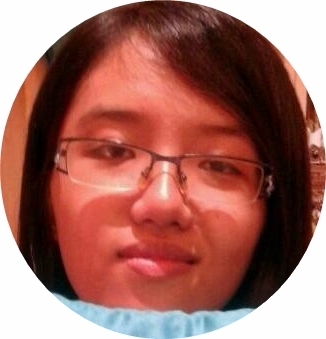 Ng Jie Yi is JPA scholar who will be pursuing her Veterinary Medicine degree at the University of Cambridge. She is a book lover and avid gamer who likes to spend her time playing with her two furry kiddos. Well I was seeking some information for veterinary personal statement, I just stumbled across your post and found it realy ver interesting to read. Very nice blog post.